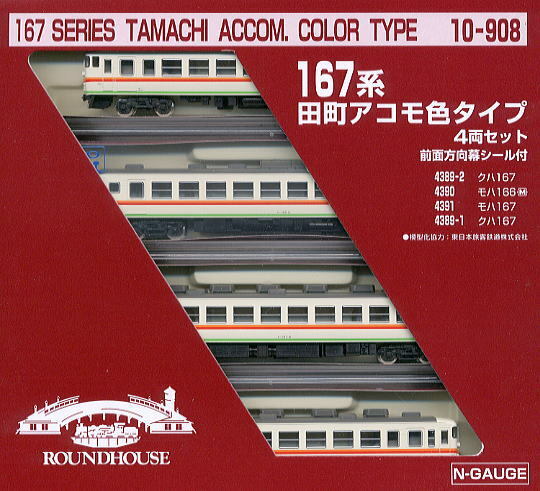 This is a 167 Series Tamachi Accommo. Accommo refers to "accommodation", as it received reclining seats from retired 183 series, and was based out of Tamachi depot, being used on various chartered services, most notably on school excursions to Nikko, up until about 2003. It's a simple nice model with directional lights. First of all, I opened the cab/end cars. It's not as the normal Kato cars in the way the body is clipped to the chassis. There are 4 clips in the bottom and it's not subjected by the lateral parts. The light board has two plastic covers on it very easy to unclip. 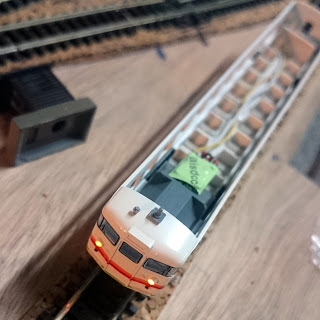 I removed the light board and cut the two legs that take the current from the wheels. In these points, I soldered the grey and orange cables from the LaisDCC decoder and passed the red and black cables through the holes where the legs of the board where inserted. LaisDCC decoder have a very useful feature like some TCS and Lenz decoders. This feature is that you can use motor wires as a function output and it can change the polarity depending the direction of travel. It's also possible to adjust the intensity at the desired level. In the red and black wires I soldered a short cooper strip that will be in contact with the car strips that take the current from the wheels. In this way the car can be opened with no risk of pulling the wire and break it. Finally, it's only needed to program the CV61=68 and write in CV133 the desired intensity (value from 0 to 255). Normally a value between 20 and 50 is enough. 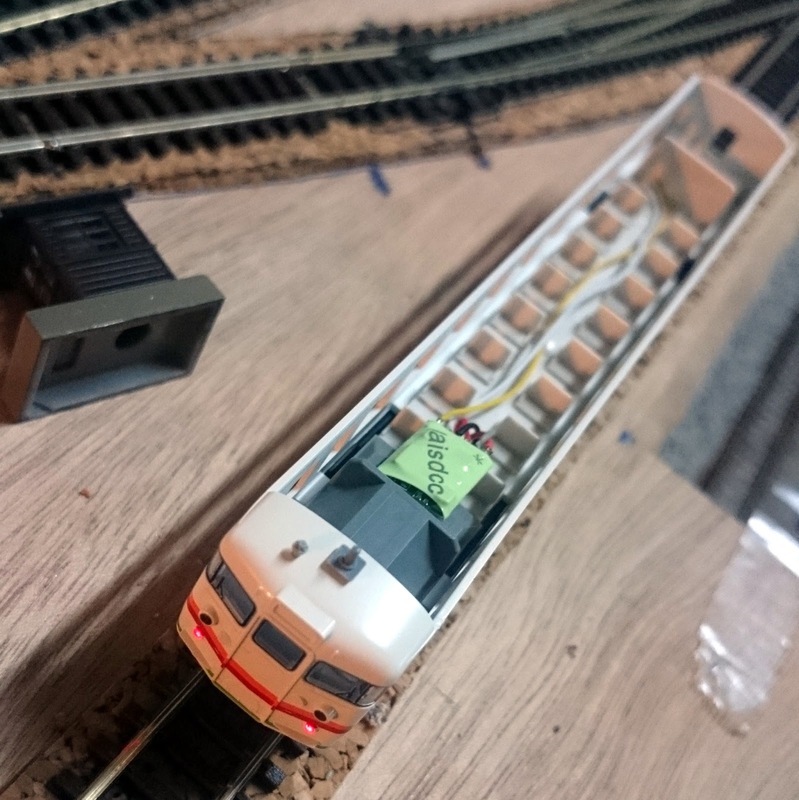 The motor car is easy, exactly the same as the normal EMU Kato cars, just isolate the motor plates and solder wires. I use double sided tape to fix decoder in place and keep cables close to the floor. Buen trabajo Dani, una vez mas gracias por todo.